We are a Social Enterprise; a not-for-profit charitable organisation, a private company limited by guarantee, reporting to a Management Board consisting of Non-Executive Directors and Advisers. We are the EU National Energy Agency for Northern Ireland. For more information on European Energy Agencies, please click HERE. Bryson Energy was originally established in 1995 with a remit to tackle Climate Change and assist with the reduction of energy use and reflect local area energy issues. The major issue for Northern Ireland is that fuel poverty currently affects 42% of Northern Ireland’s households, one of the highest rates in Western Europe. Therefore it is no surprise that Bryson Energy has focused its attention on these two areas of tackling Climate Change and contributing to the alleviation of fuel poverty. 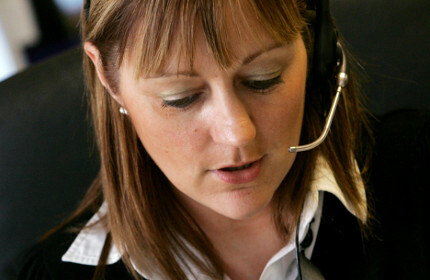 Our activities are targeted at Northern Ireland Households as the business sector in Northern Ireland is assisted by InvestNI and EnterpriseNI. 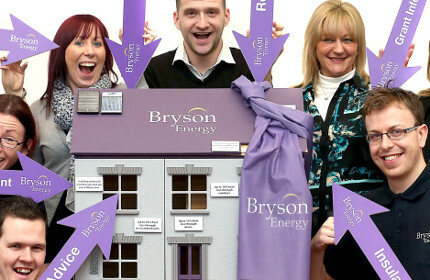 In 2009 Bryson Energy’s successfully tendered for the Government tender for Warm Homes (WH). WH was the Government’s main tool to tackle fuel poverty in Northern Ireland. Fuel poverty is defined as a household needing to spend >10% of its income on energy to heat the property. This scheme closed on March 2015. 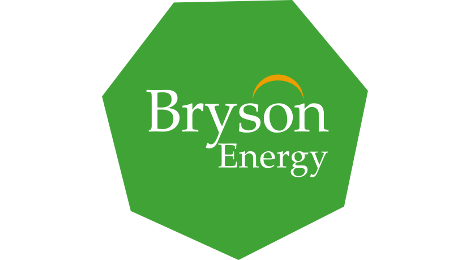 Over the years Bryson Energy has also operated a range of fuel poverty and health related programmes such as grant administration, oil buying clubs, budgeting advice, handyperson, benefit checks and several retrofit programmes. 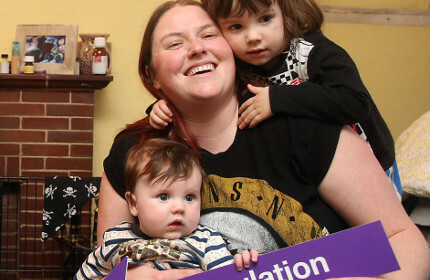 Alongside fuel poverty focused activity Bryson Energy also assists Government meet its energy targets by promoting Energy Advice through both energy efficiency and renewable technologies. As Northern Ireland’s Energy Agency, our goal is to support and motivate energy users to reduce their costs and greenhouse emissions. Click this video to find out more. Tackling climate change is is one of our key remits. Click this video to find out more. 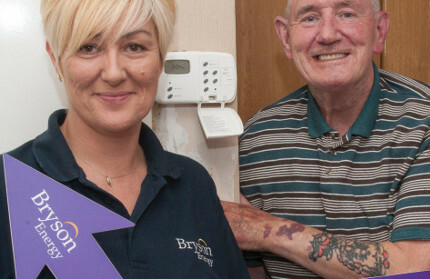 Bryson Energy tackles fuel poverty and helps to reduce energy costs for householders. Click this video to find out more.